Artist Joshua Harker uses a 3D printer to turn his doodles into elaborate sculptural objects. 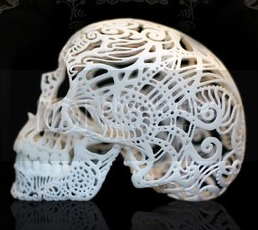 He then uses 3D printing and material engineering to turn his doodles into sculptures. 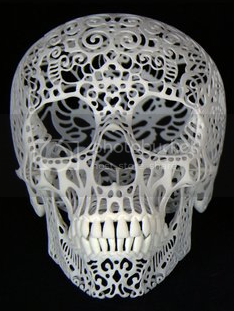 Here's his 3D Printed Filigree Skull. I have one of these (the small one); it's extremely beautiful and well-made. 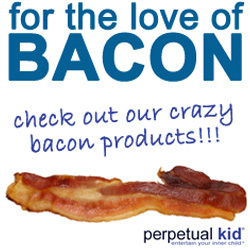 Wild Bill's Bacon Jerky Giveaway!